Are you scared? Are vampires among us? Maybe, we have a problem..
My latest icon set was inspired by the Circus of the Damned book. 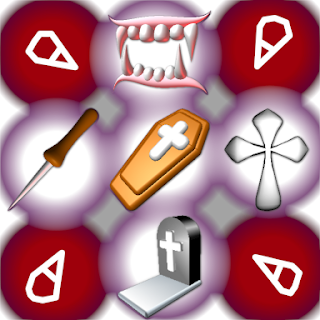 This set includes icons of vampire teeth, coffin lid, gravestone, crucifix and silver stake.